GKENT (3204) forming bolinger band squeeze. 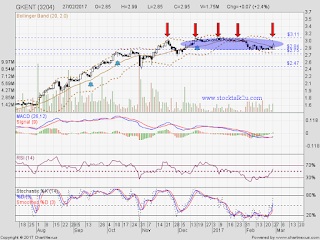 Will it retest RM3.11 resistance level? MACD trade at negative region, downtrend sign. Immediate resistance @ RM3.00 level. Subsequent resistance @ RM3.11 level. Immediate support @ RM2.84 level. 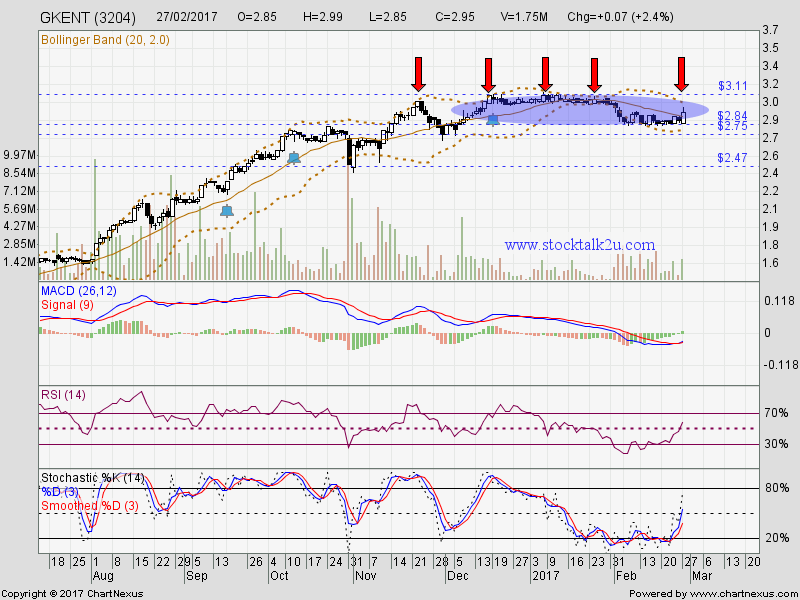 Subsequent support @ RM2.75 level.